Yesterday Instagram launched live video and an option to send disappearing videos and photos to your friends. This sounds oddly familiar of course, especially combined with Stories, which launched in August. Yes, Instagram now has most of things that make Snapchat popular (they didn’t copy lenses.. yet). But they didn’t just copy those features, they made them better. I can only speak from an Android perspective, but I know many people will agree with me when I say that Snapchat is a horrible app. It just feels slow. It doesn’t even take proper photos, but just a “screenshot” of the viewfinder. Evan Spiegel uses an iPhone and you can tell by looking at his own Android app. In terms of UI I don’t think I have any app on my phone that’s worse than Snapchat. I do believe Snapchat wants to be an app that is as easy to use as possible and I think that might have been the case in the early days, despite its unconventional interface (not following guidelines). But Snapchat has received many new features over the years and instead of rethinking how all of those would fit in the app they just added another layer of unnatural interaction. They’ve made some improvements in the form of animations, but generally a lot of things are hidden behind swipes and there is no indication whatsoever that they exist. Take a look at the chat screen for example. Snapchat shows a mixed list of text, photo and video chats, but you’re able to initiate a text chat with all of them. 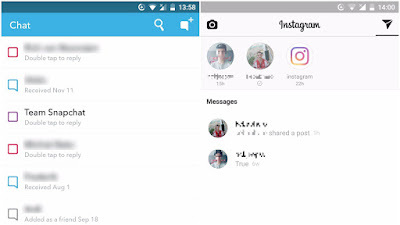 Instagram splits photos/videos and text messages. Snapchat also recently changed the way you watch stories and people hated it. It appeared they hadn’t looked into how people used the app at all. I have yet to decide whether or not I like the changes Instagram is making. What I mean by that is that I liked Instagram the way it was as a photo sharing app. But I have to admit the new additions feel natural, because I think they’re implemented in a good way. One other important thing is that I only open Snapchat when I receive a personal snap. I check Instagram 100 times every day, because I always know there’s something new in my feed. I follow more people on Instagram and have more followers compared to friends on Snapchat. Interestingly, some people who are my Snapchat friends don’t follow me on Instagram and vice versa, but the amount of people that see my Instagram Story vs my Snapchat Story is about the same. Instead of improving Snapchat, Snap decided to sell goofy glasses. And why wouldn't they? The whole world is using Snapchat already anyway. Maybe they get away with it, but maybe not now there is a viable competitor. 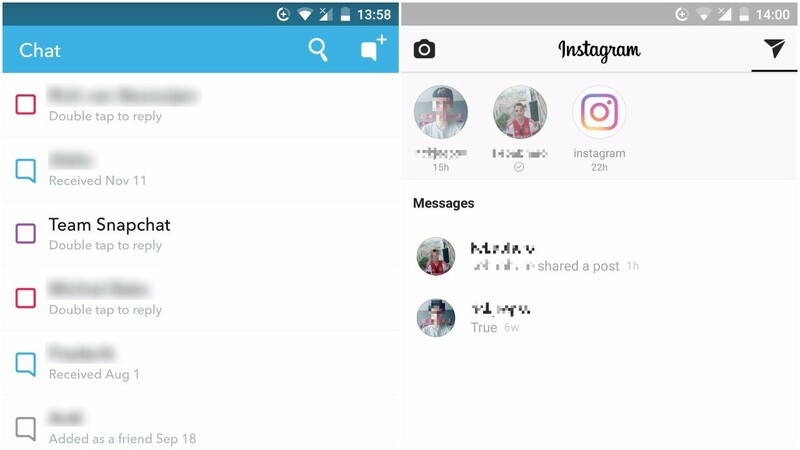 Facebook has tried to copy Snapchat many times by implementing sort-like features in Messenger and releasing it in countries where Snapchat isn’t that popular yet. Remember Slingshot? That app was launched in 2014. But now, 2 years later it finally found the right place: its hugely popular photo sharing app Instagram. And it found the right man in Kevin Weil, former VP of product at Twitter who joined in January. It turned out Snapchat is a great concept, but the company left room for improvement. And if you do that, another company will take it and make it better. If Spiegel didn’t already know this, he does now for sure.